University Press. 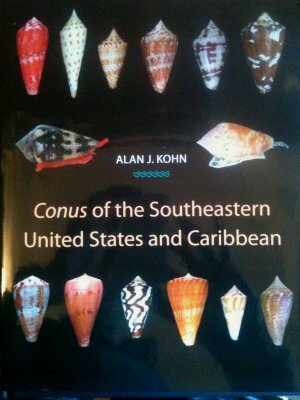 Several images of live shells I have taken during my stay there (2000-2002) have been published in Alan's book. Though, there is an error for one of my specimens. At page 151 and 153 you will see an image of a live Conus cedonulli and juste below it is written "Martinique, Photo by David Touitou". These images have been made in Martinique BUT the specimen have been found in Union island (Grenadines archipelago). This is very important as this shell have not been reported from Martinique yet.